The fox is so cute. I love the typeface on the comment stamps, as well. Congrats on the dot com! really cute font sentiment, I would use them to create cards and flair for my layouts. congrats on your .com... woohoo.. love that cool fox. Just love these little foxes, would love to make them in to little sets, in blue, for my niece who is having a baby shower, and is having a baby boy!!! thanks for the opportunity, and congrats on becoming a dot.com!!!! That's pretty exciting about your dot.com! Congratulations! I love this little set you've created! Pink is my favourite colour so I was immediately drawn here to have a look. 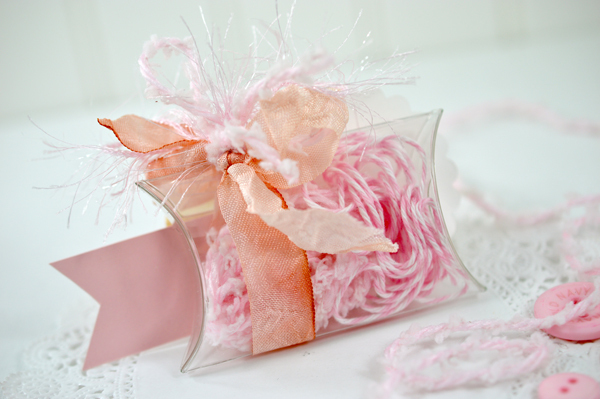 The crinkle ribbon is awesome - it's my new favourite ribbon! I've never made a pillow box before - would love to try this! If I had this bundle, I would make a pillow box and a pop-up box card - something else I've been wanting to make. Thank you and I wish you a joyful day! the die looks perfect for some great flowers to adorn the pillow boxes. Congrats on your dot com!!! 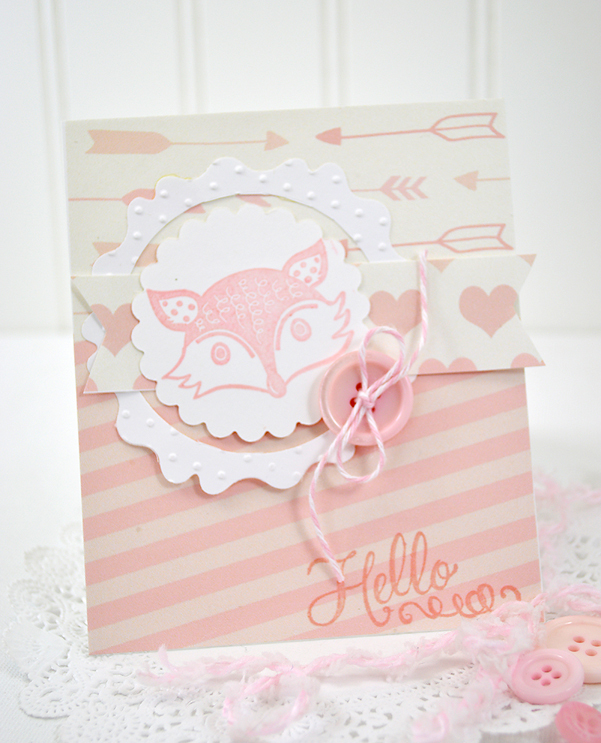 LOVE your pretty projects - foxes are something I LOVE right now! And pink is such a fun color combo! Seeing these in pink makes me want to put together something fun for my two girls!!! How exciting and what a lovely way to celebrate your "dot.com-ness". That Foxy bundle is so sweet and would be perfect for my Mum who supports her local wild-life trust and tries to protect the foxes where she lives. This is adorable. 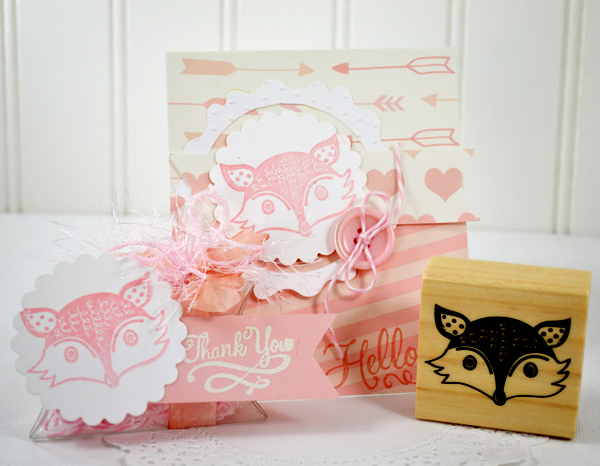 Thanks for the chance to create with this cute fox bundle. I think my grandchildren would like notebooks made with this fox. Okay, Lori, I found your blog via Pinterest and I'm hooked! 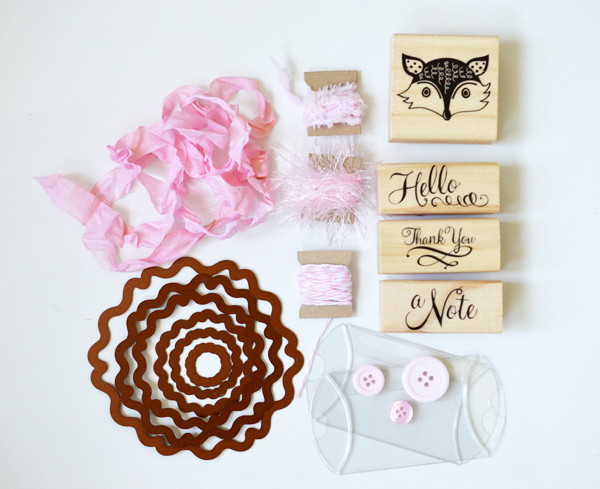 Love this bundle...so incredibly sweet! Forgot to congrats you on your Dot.com(ness). I am running Safari and Blogger can get dicey. I re-commented (is that a word?) below. I tell you I cant take it!! 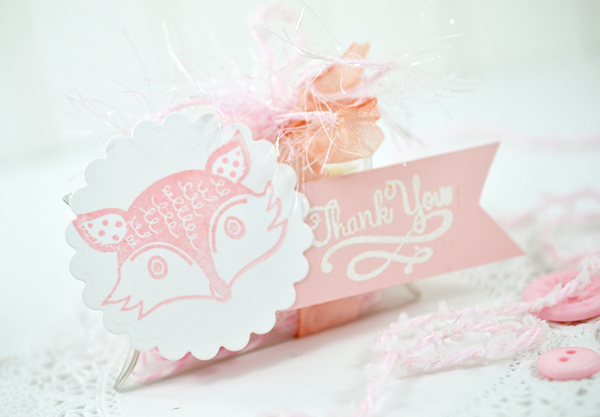 Look at how stinking adorable this little fox card it!